Electric cars are environmentally friendly and are definitely better than all cars and conventional internal combustion engines. Then the next logical question that arises is that, Why aren’t all the cars electrically driven? The following paragraphs below clearly explain this question. 1) Money invested by automobile manufacturer. All manufacturers have invested an incredible amount of money into the refining and promotion of petrol and diesel cars as the primary mode of transportation and now, changing over to a newer means of transportation would mean no returns on the money that they have invested and no more money would be got by servicing and replacing parts of vehicles as electric cars run on a simpler mechanism. 2) Influence from oil companies. Electric cars do not run on gasoline or diesel and obviously the primary losers will be the oil companies. They would do all things possible within their reach, to stop the implementation of newer technology that affects their lives and their livelihood. They have bought-out technologies such as the Water Fuel Corporation in Australia that have threatened their source of income. An outstanding example is that of an oil giant named Chevron which bought out the patent and production rights of the NiMH battery, which were the source of fuel in electric cars during the early 19th century. They are refusing to produce any of these batteries to consumers. Hydrogen is also being considered as a source of fuel to power cars and automobiles. Refilling hydrogen is similar to refilling gasoline in your car and oil companies too back this endeavor because they can still make money from hydrogen. A perfect example of this act is that of the auto industry which falsely suggested that NiMH technology were not yet ready for widespread use in road cars, even though studies proved otherwise. In 1994, General Motors acquired the patents controlling the manufacture of large NiMH batteries from Ovonics’s and hindered the development of the battery and its manufacture. Electric cars are expensive due to the presence of batteries in them. This situation is improving due to the advent of newer technology in the field of battery manufacturing. 4) Issues of recharging EVs. Electric cars, though easier to refill compared to a motor car is not much sought after. This phenomenon can be attributed to the lack of exposure of pure electric vehicles among the people. The only disadvantage of electric cars is that it is not capable of traveling large distances unlike conventional gasoline cars but it would make an excellent car for traveling short distances in a very short span of time due to their small size and structure. People, in general have this strange nature of adhering to their old customs and traditions which is one of the reasons for their refusal to try out electric cars. They are very different from normal cars and they run on a totally different technology. 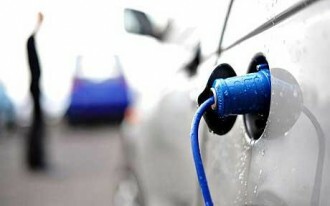 Ever increasing environmental concerns will definitely give people, the much required boost to opt for electric cars. Vehicle manufacturers still admit that there is not much of a demand among the people for EVs which is the basic reason for not introducing newer models in the market. The newer batteries are much more efficient and reliable compared to the one’s present in the early 19th century. With these improved changes the people might want to consider changing over to electric cars in the near future. I think electric car is good one. I like your post & it was informative for all. But the reasons which are posted here is also correct and because of that car is not present in widely manner.